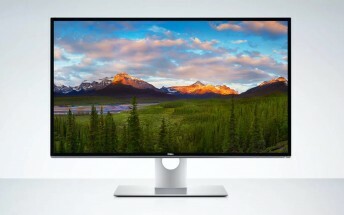 Remember the Dell UP3218K UltraSharp 32-inch with its astonishing 8K resolution? Well, the monitor is now available for purchase. As promised at its CES announcement, the UP3218K UltraSharp has a whopping $5,000 price tag. The listing reveals a shipment date of April 17. 8K is 7680x4320 pixels for a total resolution of approximately 33 megapixels. It is four times the resolution of 4K and 16 times the resolution of 1080p. In addition to 8K resolution, the monitor also supports outputting 1.07 billion colors and 100% coverage of Adobe RGB and sRGB color spaces.